As the schools go back, a sense of calm rolls over the North Norfolk Coast and there’s more time to breathe and enjoy this beautiful part of the world. There are still plenty of visitors, but they are more relaxed at this time of year, not worrying about missing the tide or feeding the kids, and all the businesses quietly smile that there are no more sticky fingers for a little while. 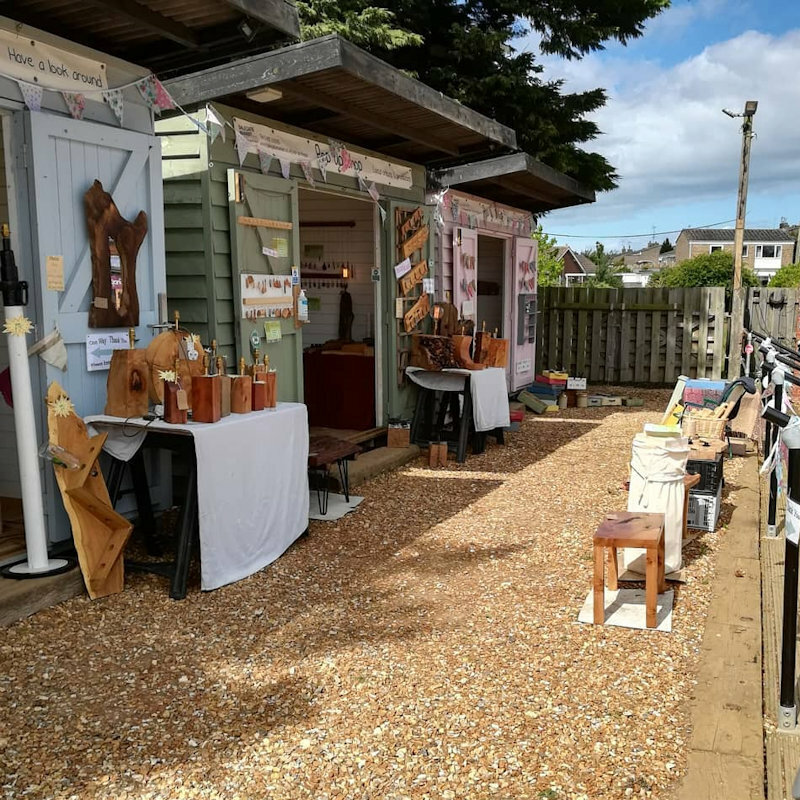 To celebrate this more peaceful time of the year, Dalegate Market have invited a selection of Pop Up Shops to join the wonderful shopping experience at this lovely site in Burnham Deepdale. Naturally you can enjoy the permanent shops, as you can all year round – Fat Face, One Stop Nature Shop, Relish Boutique, Gone Crabbing, The Hare & The Hen and Keshco’s Supermarket – plus visitor information from Deepdale Information, all while enjoying great food & drink from Deepdale Café - breakfast, lunch and cake! Hazel Millington Glass - Hand-crafted fused glass art and jewellery, including pendants, earrings, sun-catchers and other decorative glass objects. Suns of the Sea - Award winning artist Sheila Robinson and innovative potter Karen Pearson bringing their lively, joyful work to Dalegate. Creakey Crafts - An eclectic mix of crafts including pictures made from local maps depicting butterflies and birds. Wreaths made from items found on local beaches as well as other items made from fabric. Wayward Rose - Handcrafted designs by Su Mose using fabrics designed to be different, alongside stylish gifts for the customer looking for something special. Ray Mears Images - A selection of wildlife and landscape images from around Norfolk and Suffolk printed onto high quality canvas. Norfolk Country Crafts - Bespoke country furniture handcrafted in North Norfolk. Camrovision Landscape Photography - Selection of local scenes available as greetings cards, framed and mounted prints, canvas wraps and 2015 calendars. KABCO Crafts - Supporting local artisans in Bethlehem, Palestine, offering only the highest quality crafts. Nativities, Christmas Ornaments and many other pieces are hand carved from olive wood. Lizknits Spinning and Crochet - A beautiful variety of sheep fleece inspires and is transformed through hand-spinning and crochet into so much more than just a granny-square! Artist at work and the opportunity to have a go. Folk who Bespoke - We sell handmade shabby chic items and up-cycled furniture. Our products can also be personalized and a bespoke service can be offered to create a unique item. Johanna Naturals - Beautiful Handmade Natural & Organic Skin Care Products Created in small batches to ensure freshly made products are made available to you. Garden Classics - Resin, metal and wooden models, mainly of animals. Resin plaques of green men, suns, moons grotesques etc. for interior or exterior display. Functional garden items. Made by Debbie - Hand made craft and products taken from original watercolours. Dalegate Market is also home to the Deepdale Christmas Market, a hugely popular start to the Christmas season. This year it takes places on Saturday 6th & Sunday 7th December, hosting over 85 stalls in marquees and St Mary’s Church.